Chasing cultural change, and making claims that it really could happen if only we opened our minds, hearts, eyes and ears to a new kind of leadership, sometimes feels like a futile mission. Gareth Southgate and his young protégés have shown us that it really can happen. With the nation daring to believe that football might just be coming home, it was impossible not to feel heartbroken for the young England team when they lost to Croatia in a nail-biting semi-final on Wednesday. Despite the outcome of the match, we all fell in love with their humility and integrity, and how they disregarded their egos in pursuit of a common purpose. We may not have brought it home but this World Cup was an indisputable victory. We were reminded that a leadership approach based on courtesy, kindness and collaboration delivered in a way that top down direction and individual triumph rarely has. Uniting a divisive and angsty nation is no mean feat – Gareth and his team did it. And let’s not forget his waistcoat. Polite and non-threatening, it said I’m taking this, and you, seriously; I’m not afraid to be different or learn from my failures, or to give you space to be human too. 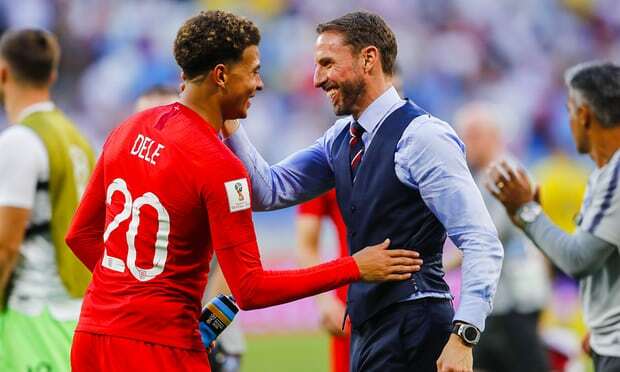 By building positive and open relationships, listening, and giving his players ownership of what they want to achieve, Gareth Southgate has built a team that can compete with the best in the world: a real-life example of what happens when you go from ego to eco. Who’d have thought football might be one of the most dramatic exemplars of cultural change? It may not be coming home this year, but a new leadership approach, fit for a new age, will be. Could we just whisper it, but might NHS Collaborate be our very own Gareth? Answers on the Collaborate WhatsApp please (07725 555030).